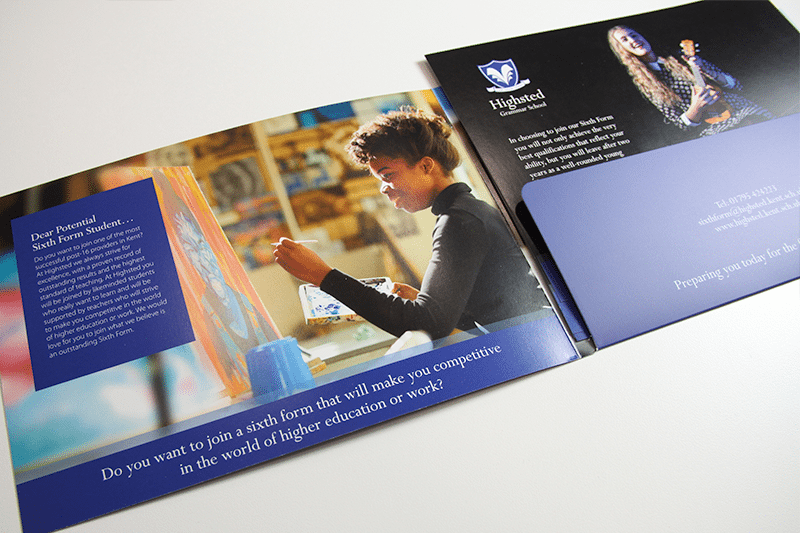 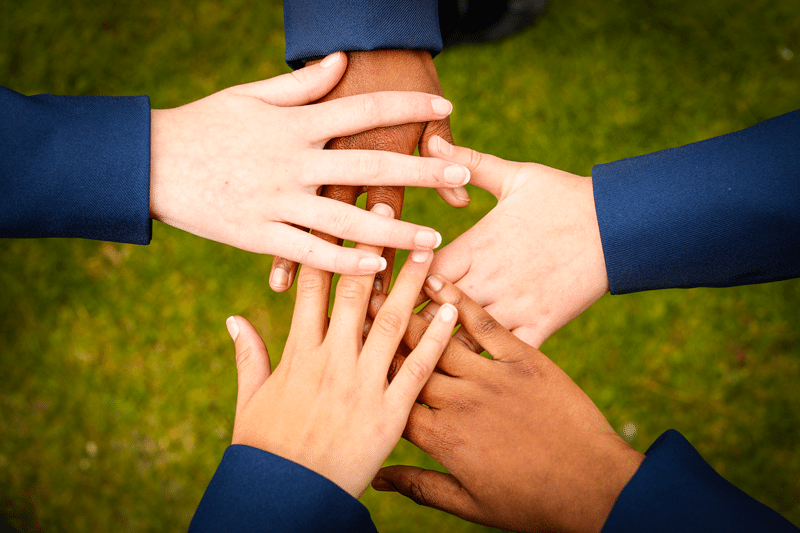 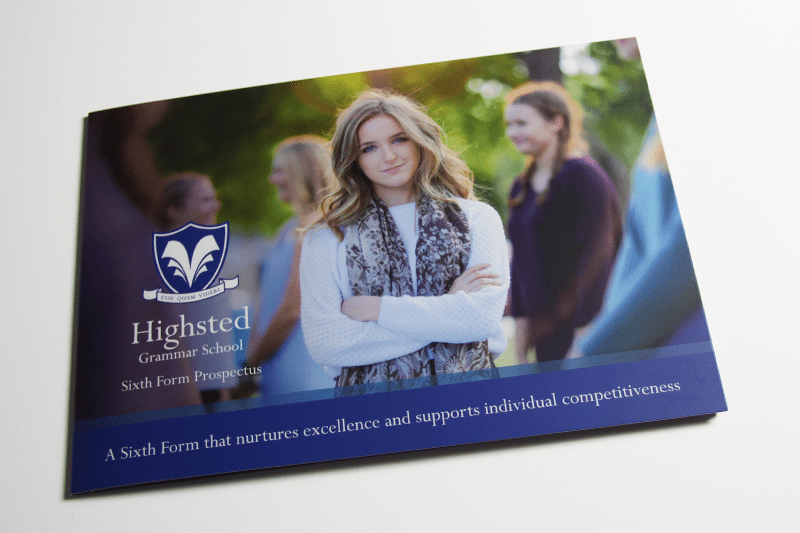 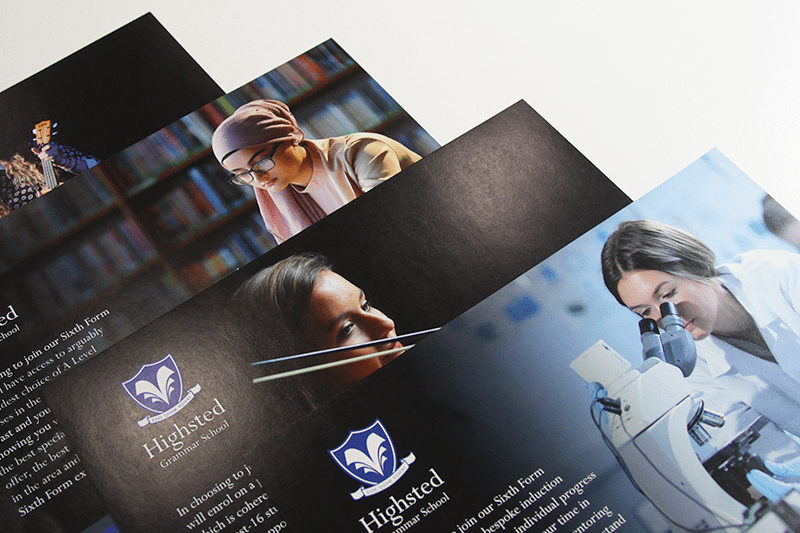 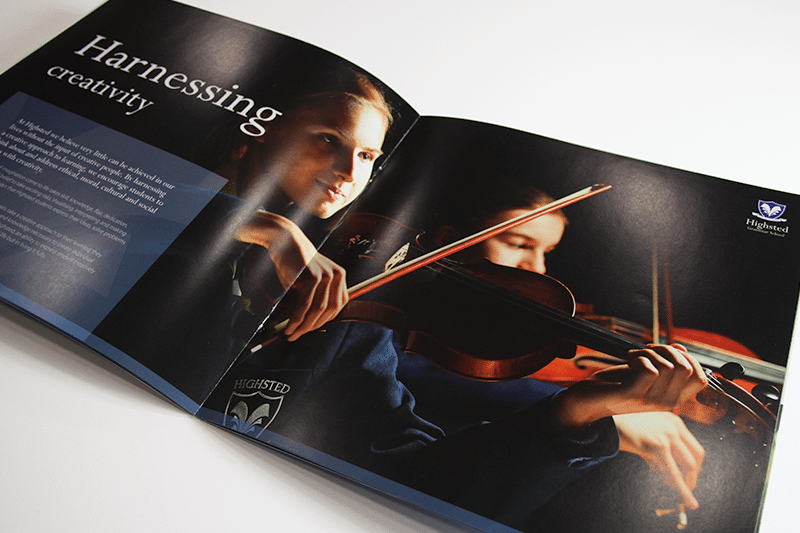 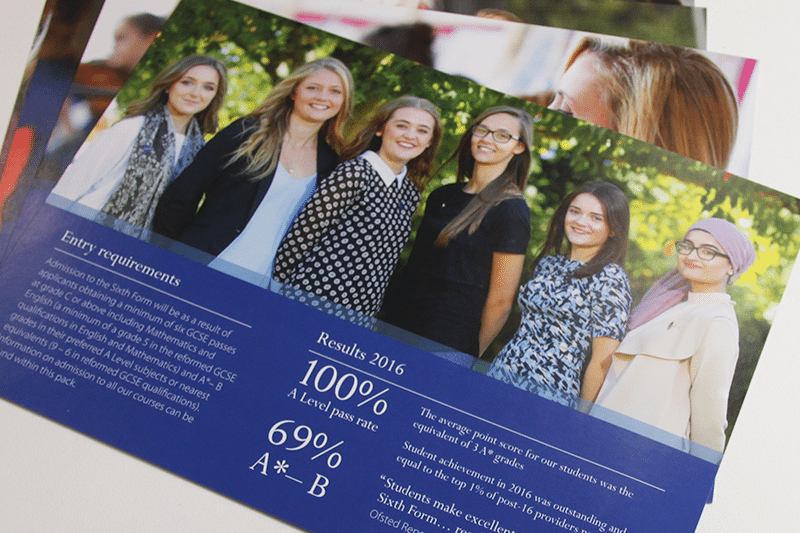 Highsted Grammar School required a brand new prospectus design to showcase their school and students. 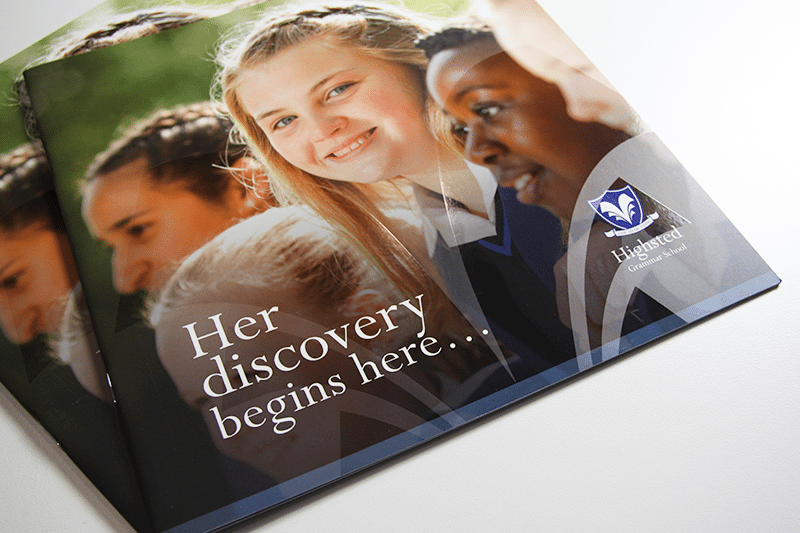 Our solution, a rich silk finish prospectus for the main school paired with a folder of interchangeable inserts for their sixth form. 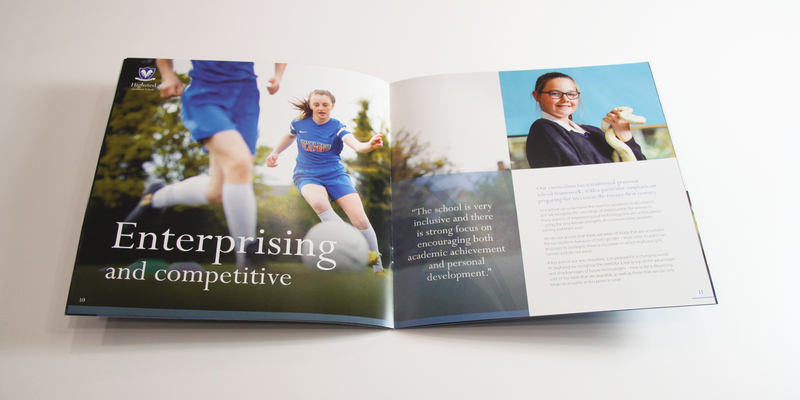 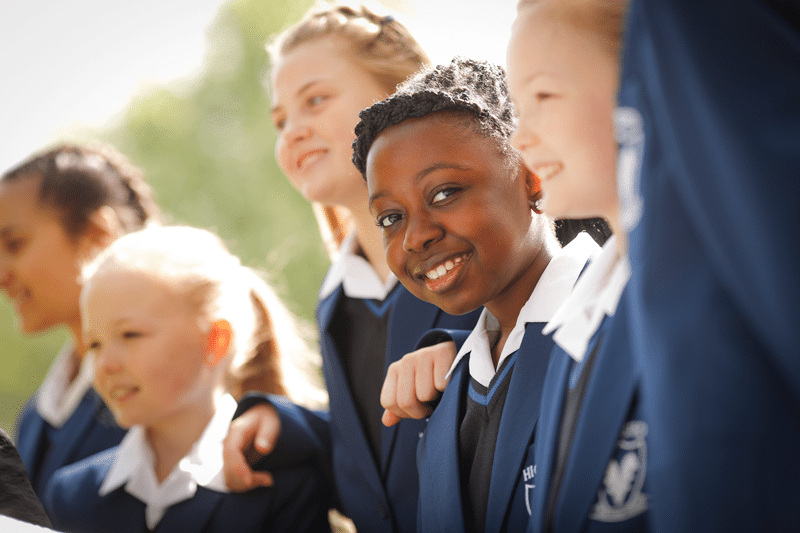 Portraits of students are accompanied by achievement results, ofsted quotes and curriculum information, making for an inviting and informative school prospectus pack.